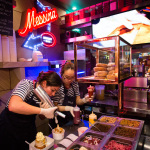 The Gelato Messina Lab is finally open. There are no test results or case-cracking white coats on show, just low-temperature patisserie treats. 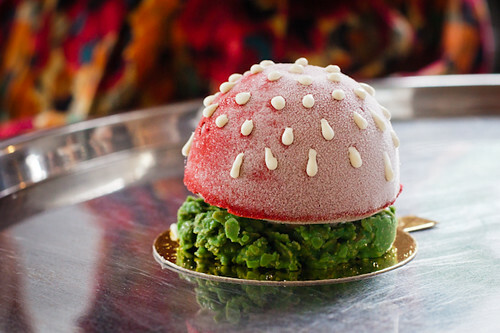 There’s an ice-cream burger, a “villainous” dessert called Mini Me (it deceptively harbours Dr Evil Chocolate, dulce de leche jam and peanut butter biscuit on top of a “grassy” base of pop rocks) and Messina’s own version of Bombe Alaska ($7.90), which has torched Italian meringue and white chocolate and hazelnut croccantino. From the smart-alec team that gave you gelato flavours such as Elvis: The Fat Years, Isn’t That A Salad? and Hansel He’s So Hot Right Now, the patisserie menu also features wise-cracking names, such as a sweet called Ugly Balls (no explanation necessary) and a rectangular-shaped ice-cream sandwich that has a forgivably Dad-joke-like title: Darlo Bar. 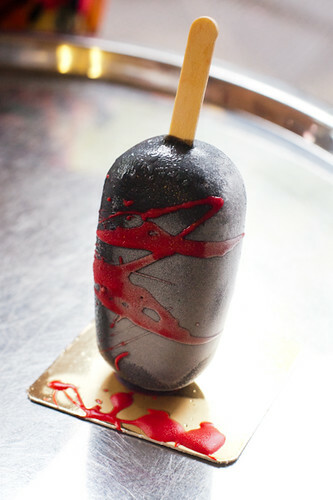 My favourite, so far, is the Samurai ($7.90), which doesn’t involve any swordplay – just a yuzu sorbet coated in orange-scented chocolate, with blood-splatter-like splashes of caramel. 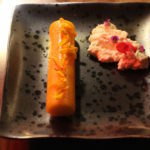 For a dessert that obviously has gory origins, it makes an elegant impression. And the peppery-citrus/sweet-choc combo is so zippy and fine that you’re quickly left with just a paddle-pop stick and a flash memory of the Samurai‘s visit. With so many sweet-tooth-seeking gems on offer, you inevitably end up with a mental bottleneck of what to order … Or a fixation with future purchases – I’ve already pre-thought-out my next pick: it’ll be the Kova Pavlova ($11.90) with its passionfruit-dusted meringue, vanilla gelato and raspberry jelly. 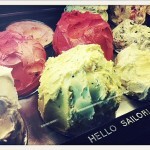 I first found out about the patisserie lab in April, when I interviewed Gelato Messina’s Nick Palumbo. He had been thinking beyond the world of scoops and cones for a while, but there was some training needed to get people adjusted to making deep-freeze desserts. 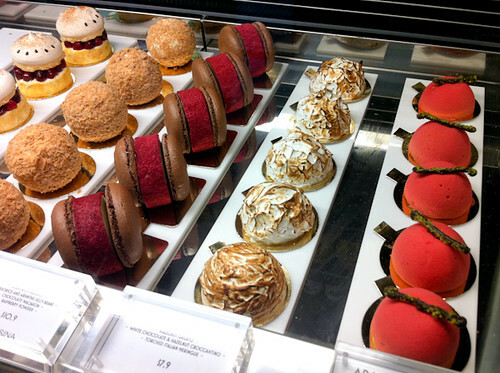 “All the pastry chefs go ‘yeah yeah, I know what I’m doing’, but they forget that gelato melts.” Incorporating other elements with ice-cream also comes with its own headaches – getting a macaron to stay crispy in a sub-zero cabinet is a tricky affair, for instance. 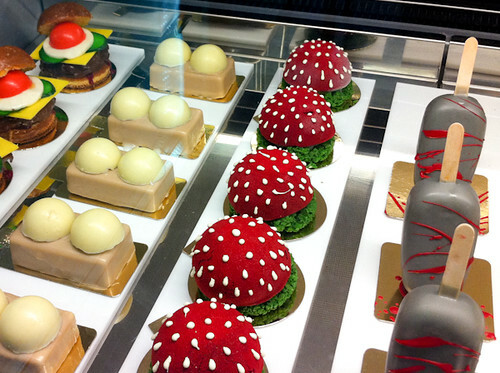 You might get a sense of how these things come together when you visit the lab, because the workspace is merged into the actual patisserie – entry into the shop can feel like scoring a guest pass right into the kitchen. So, that’s the Gelato Messina Lab. No need to run any complicated tests to know why it’s worth a visit. 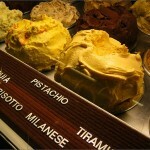 Gelato Messina Lab, next door to Shop 1/241 Victoria St, Darlinghurst NSW (02) 8354 1223, www.gelatomessina.com.au. 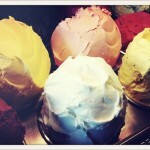 You can also get ‘Flavour Alerts’ by following Gelato Messina on Twitter or Facebook. The desserts all look so delicate and so delicious!!! I soooo wish I’d known about this while I was in Sydney!! They look magnificent!! So much creativity 🙂 These desserts look so very tempting. 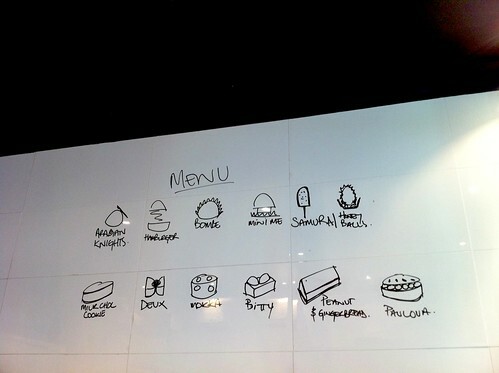 OMG I want to try everything! This is on my summer eats list for Sydney, haven’t been yet.